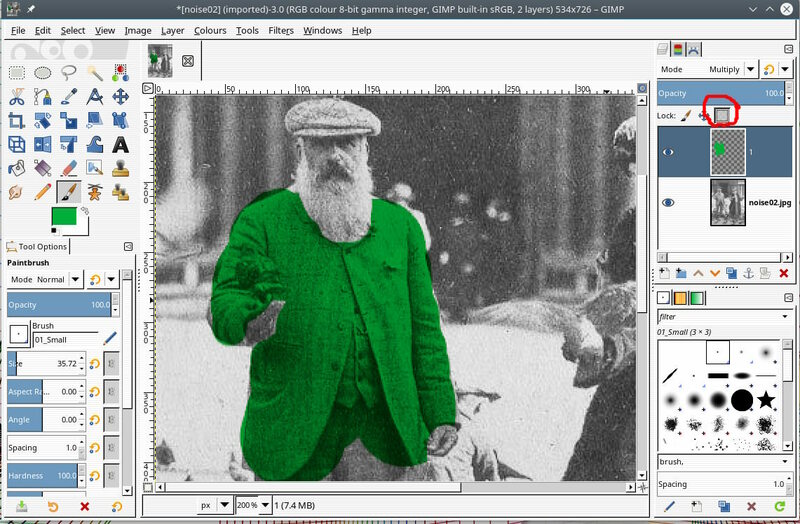 I'm using 2.10.4 on a Windows 10 machine, trying to do colorizations of old photographs. Is there a way I can change the color I have set for a layer without either deleting & recreating or erasing & redoing it? Lets say I've made a layer and colored a shirt blue. That's the only thing on that layer, is there a way I can easily change it to another color? I thought I would be able to go into the color itself & change the RGB settings, but I can't see a way. Hope this is clear! Thanks in advance! Depends how you are applying the colour. (08-07-2018, 12:47 PM)Howitser Wrote: I'm using 2.10.4 on a Windows 10 machine, trying to do colorizations of old photographs. Is there a way I can change the color I have set for a layer without either deleting & recreating or erasing & redoing it? Lets say I've made a layer and colored a shirt blue. That's the only thing on that layer, is there a way I can easily change it to another color? I thought I would be able to go into the color itself & change the RGB settings, but I can't see a way. Plenty of ways, but it depends which color you want to change to what (same lightness, same saturation, same hue?). Sample the color, add saturation, bucket-fill in Color-erase mode, then bBucket-fill with the a saturated version of new color in Behind mode. Current time: 04-22-2019, 12:36 AM Powered By MyBB, © 2002-2019 MyBB Group.